Discover. Validate. Redefine your life purpose as a foundation for decisions, plans and actions. Have a purpose driven life! 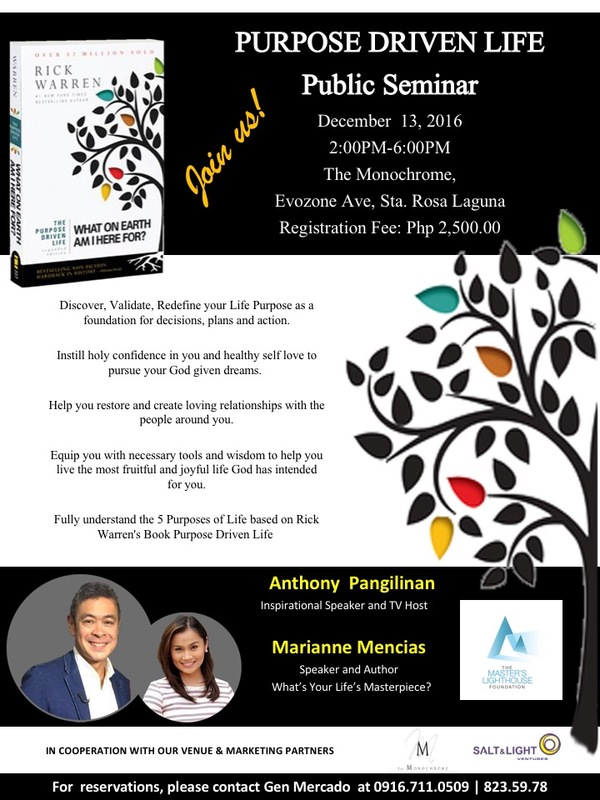 Anthony Pangilinan leads the public seminar for a Purpose Driven Life on December 13, 2016, 2 – 6 PM at the Monochrome in Nuvali. 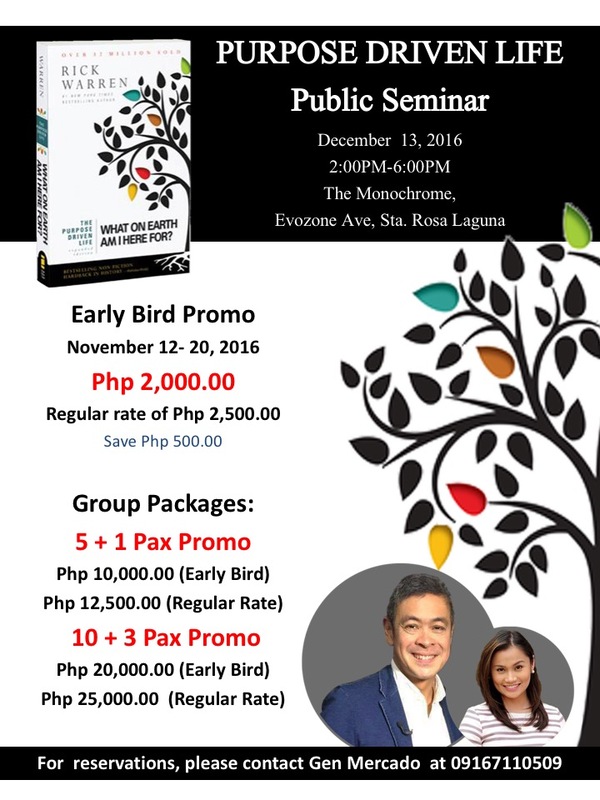 Get the early bird promo of Php 2,000 (save 500 pesos) from November 12 – 20. Group packages are also available.